While the main goal of Indie Untangled is to keep you up to date on the latest news from your favorite yarntrepreneurs, I also want to help you get to know these talented makers a little bit better. My first “Untangling” Q&A is with Vicki of That Clever Clementine, a great friend who has been a huge supporter since I first came up with the idea for this site last year. (She also recently updated her Etsy shop with some really cute stuff.) Stay tuned for the details of an exciting giveaway of some special TCC merch to celebrate the Indie Untangled launch! Just as there is no such thing as too much yarn, we knitters also can never have too many project bags. 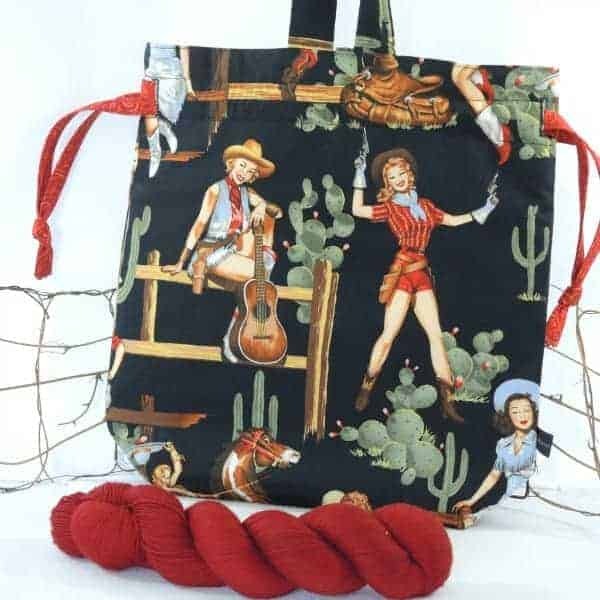 With her functional designs and use of whimsical fabrics, Vicki Moss of That Clever Clementine will have you building up your “bag stash” in no time. Vicki, or MsVicki as she is known to many in the knitting world, has probably worn as many hats as she’s made — yes, she also makes hats, along with sewing up drawstring bags, “Snapdragon” notions pouches and non-breakable, fabric yarn bowls. 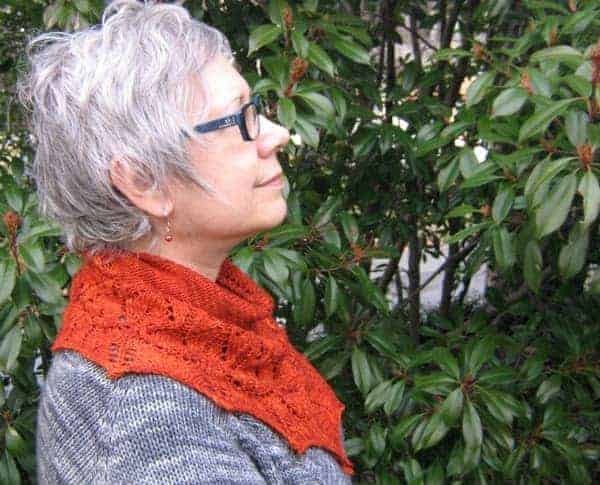 When she’s not at her sewing machine, she knits beautiful sweaters, shawls and cowls, including the Zuzu’s Petals she’s wearing in the photo above. Vicki is also a lifetime dancer, arts educator and administrator. Up until 2010, she’d spent a dozen or so years running Tappers With Attitude, Inc., an award-winning percussive dance studio and pre-professional youth dance company just outside of Washington, D.C. If her hands haven’t been busy enough, she also worked as a nationally-certified massage therapist for many years. 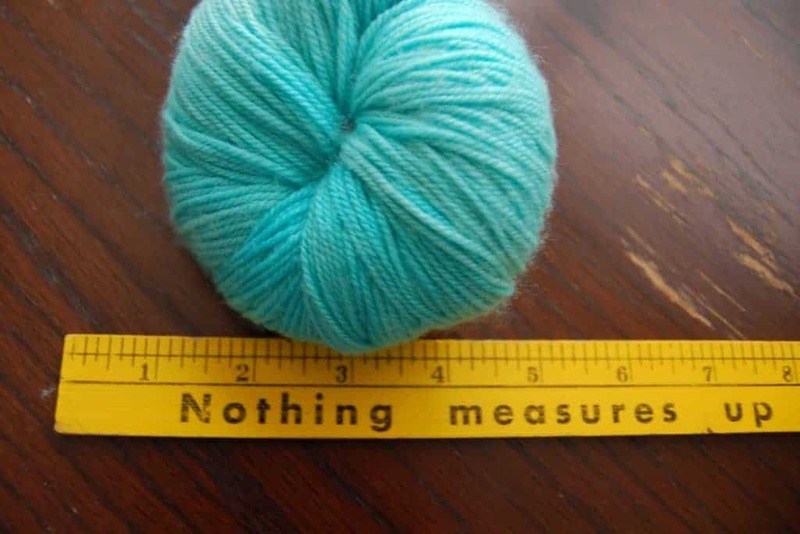 Which skill came first for you, sewing or knitting? I think they were actually pretty much simultaneous, though probably sewing had a bit of an edge. I started hand-sewing at a very early age; I was making doll clothes by the time I was in first grade. I also started crochet and knitting very early. I remember machine-sewing a skirt and crocheting the sweater to go with it, in fifth grade. This is not to say I was necessarily very good at it — but I was doing it! How did you start making bags and pouches and when did you decide to make it a business? I’ve been a production craftsperson forever. When I was in elementary school, I made and sold those elastic-loop woven potholders, and beaded jewelry. I even sold cakes that I baked in my EasyBake oven. In high school, I was doing a lot of beadwork and leatherwork, and selling things to my classmates. I did craft shows, and was a member of a co-op craft gallery in my Kansas farm girl days, where we sold handmade garments, with a focus on denim/leather/beadwork. I fell passionately in love with feltmaking, and did craft shows and trunk shows for several years. At that time I was making primarily hats. But I’ve always been a “bag lady.” I must own dozens — no, in truth, probably more than a hundred (but probably fewer than 200). I’ve always collected ladies’ accessories — hats, handbags, hankies, gloves, etc. And very often worn the prizes from my collection. I started making my own hats as a feltmaker, but I was making leather bags and fabric hats back in high school. What’s the story behind the name That Clever Clementine? The last time I was on the craft fair circuit, I used the name Jezebel, which was one of the more charming names my mother had for me. Initially, I sold dancewear — I’ve sewn a lot of leggings and circle skirts in my day! Feltmaking came after that. Then when we moved to Maryland, I stopped using it as a business name. Next thing I knew, jezebel.com came along, so I couldn’t just pick up where I left off. I decided to rebrand; I developed the backstory for the little cowgirl (who just might have been me, before I grew up to be “Jezebel”) and… well… there ya go! Like a Jane Austen heroine, she is both sensible and clever, and so That Clever Clementine got her name. The biggest Expedit unit? Yeah. Full. The rest? In piles. And heaps. And bins. And boxes. Which items have been your biggest sellers? Whoa. You think I’d know that, right? But in truth, I do not. I think as far as knitting bags go, my Pandora Poke is probably the bestseller. Not too big, not too little… just right? But my reversible fabric bowls pretty much fly out the door as quickly as I can sew them, I think people love the idea of a yarn bowl that doesn’t break. And of course, they’re so multi-purpose, people use them as storage bins all over the house. If you could design a custom fabric that expressed who you are, what do you think it would look like? I suspect it would have a mid-century or earlier Western feel to it, and would be about a little red-headed cowgirl — in full regalia, including hat, holster and boots — who looked in the mirror to discover herself “all growed up,” a dancer draped in feathers and pearls. This might not be exactly what Vicki envisions for ‘her’ fabric, but it’s close. Along with sewing and knitting, you’ve also made hats. How did you end up doing that? Are there any similarities between the three crafts? I think my love for traditional crafts, vintage garments and accessories, and handwork of all sorts led me down this path. It’s all handwork, just as was my massage practice. So that’s Thing One. I’m a very tactile person. I can be very annoying to shop with, because as I walk down the aisle in the department store, I am going to reach out and touch every fabric in sight. And I think Thing Two is I love the transformational qualities of hats, and think that selecting a hat is like trying on a new identity. Since I’ve never known quite what I want to be when I grow up, I guess I just want to keep trying on new hats and toting new bags as I sort it all out. “Playing dress-up,” if you will. I feel honored that all along my path, other people have liked my work, and want to “play along.” I meet the swellest people this way! This entry was posted in Q&A and tagged bags, interview. What a delightful interview. I see so many similar things in the way I started. Wow!! Separated at birth. Your cowl is just lovely. See you at Chesapeake I hope.